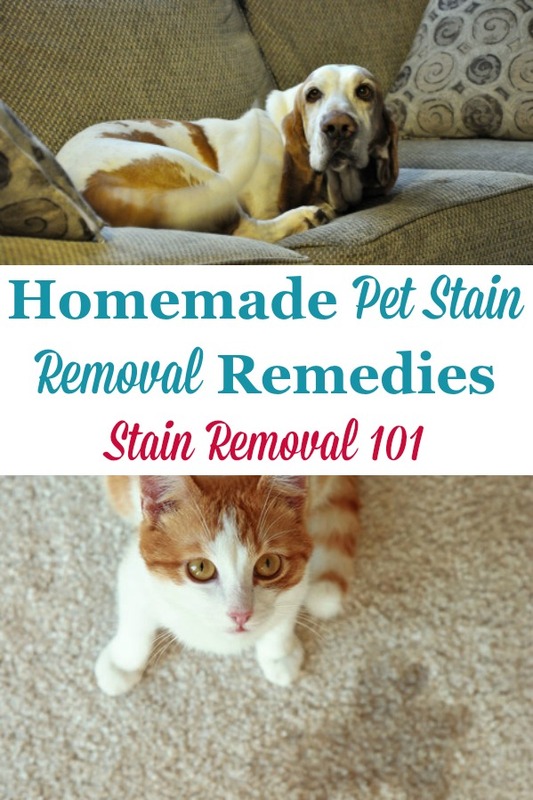 Here is a round up of homemade pet stain removal remedies and recipes that will help you clean up pet stains easily, with items you've already got around your home. If so, share it with me below. In addition, check out the tips already submitted. 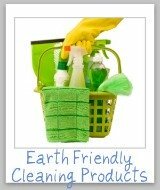 With a need to save money and also for environmental reasons, more and more people are making their own cleaning supplies. However, when you are new to making your own products you can feel a bit nervous about which recipes and uses will actually work or not. Everyone who owns pets, it seems, is searching for a home remedy for pet stain remover, because accidents just happen. I would love to hear your recipes here, making sure you tell me what you use, for what kind of pet stain, for what type of animal, and for what surface. Also, please note that you can share your home remedies for pet odors here. 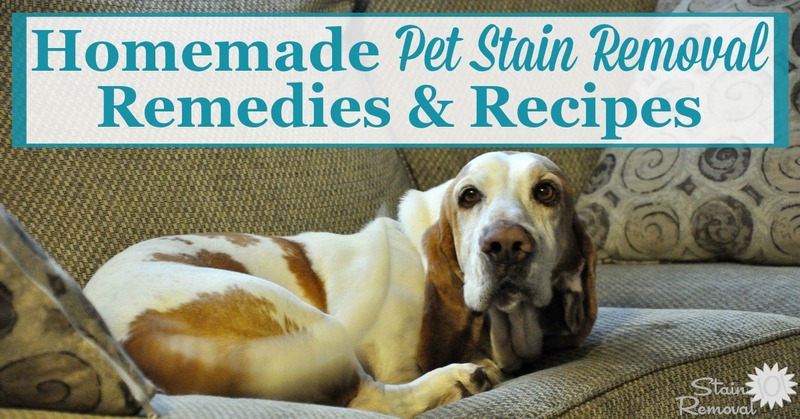 All the best home remedies for pet stains will be featured on the site! 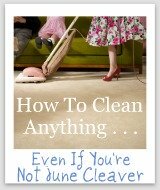 You may also find the book Pet Clean-up Made Easy: Tackle Any Pet Mess, Any Time, in a Snap - from Stains and Smells to Fleas and Furballs, by Don Aslett, helpful if you are having lots of problems cleaning up from your pets. 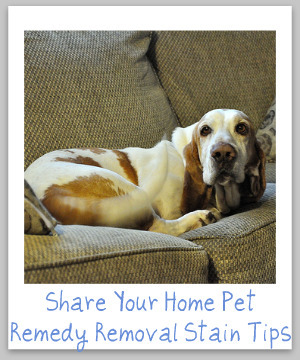 Do You Have A Home Pet Remedy Removal Stain Recipe To Share? 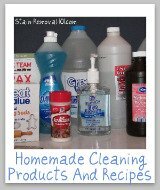 There are lots of home remedies out there to remove pet stains, especially here on the Internet. Have you used a recipe that worked well for you? If so, please share the recipe and instructions with us here. 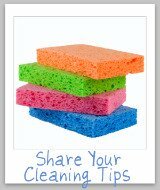 In addition, if you have tried a home remedy for removing pet stains and the recipe you used didn't work as well as you would like it, you can also tell us about that, so we can steer clear of these recipes.